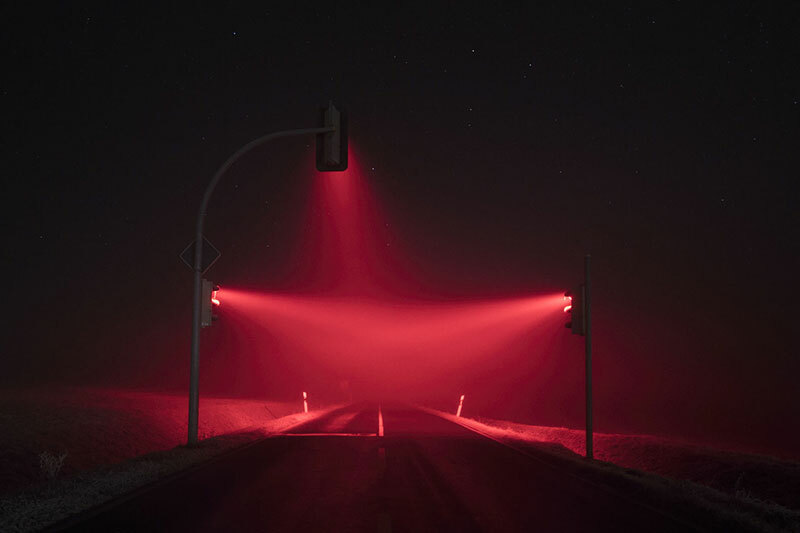 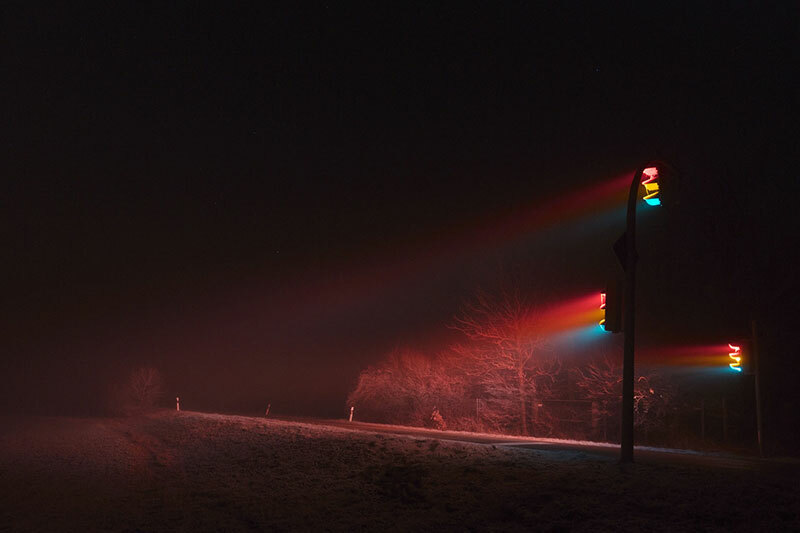 These images by photographer Lucas Zimmermann continues his Traffic Lights series which he started two years ago. 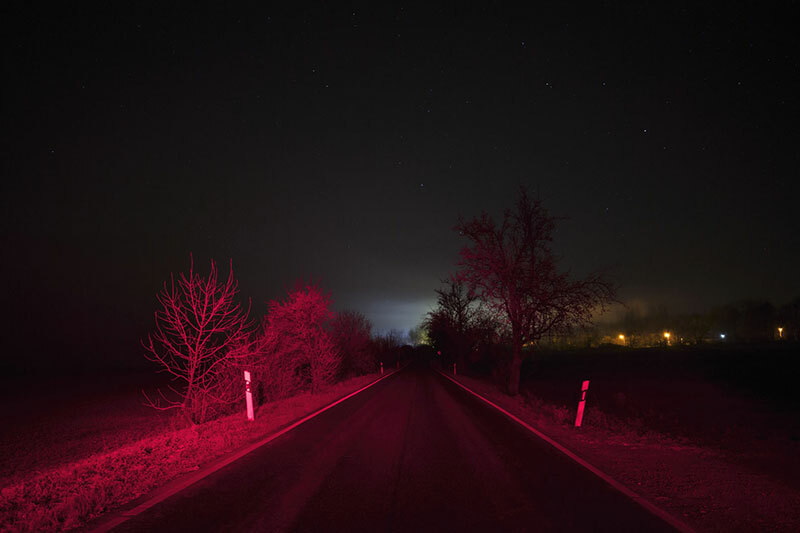 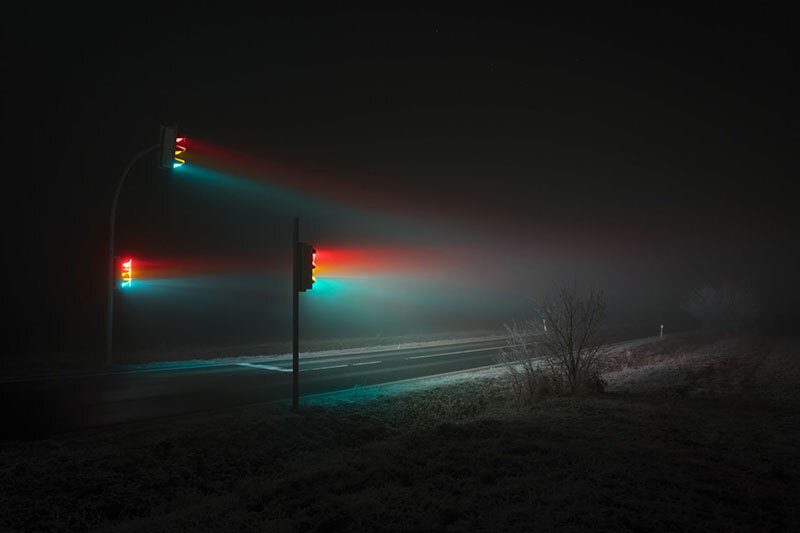 The simple concept captures traffic lights at 5–20 second long exposures late at night on a foggy intersection near Weimar, Germany. 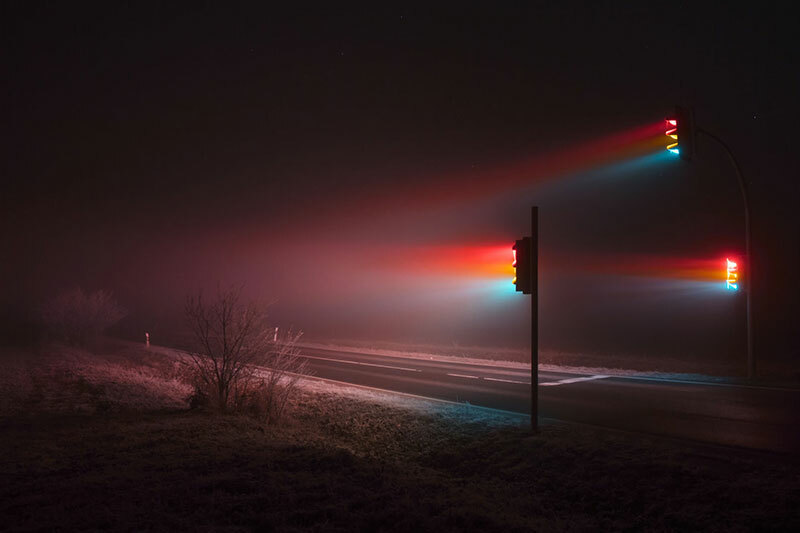 Some adjustments were made in post-production to create the bluish tones of the green light in some of the pictures. 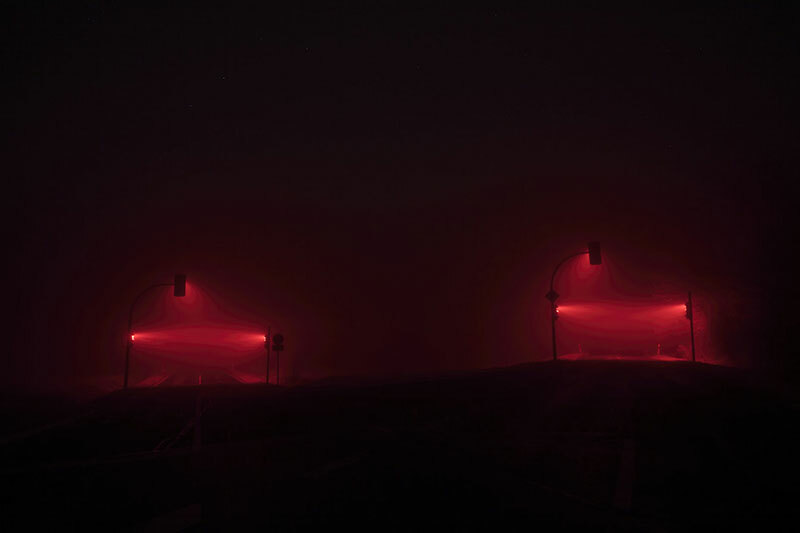 The possibility that light is visible in fog fascinates me. 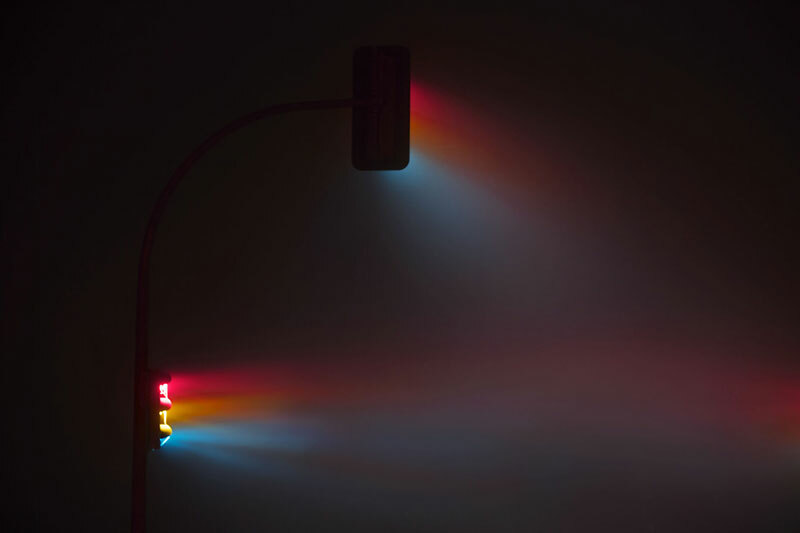 The unknown hue of blueish light is like the fog hidden for the human eye, but the photograph shows us things we otherwise overlook such as a simple traffic light on the street—a known object which produces a strong effect in an unnatural situation with a simple photographic setup. 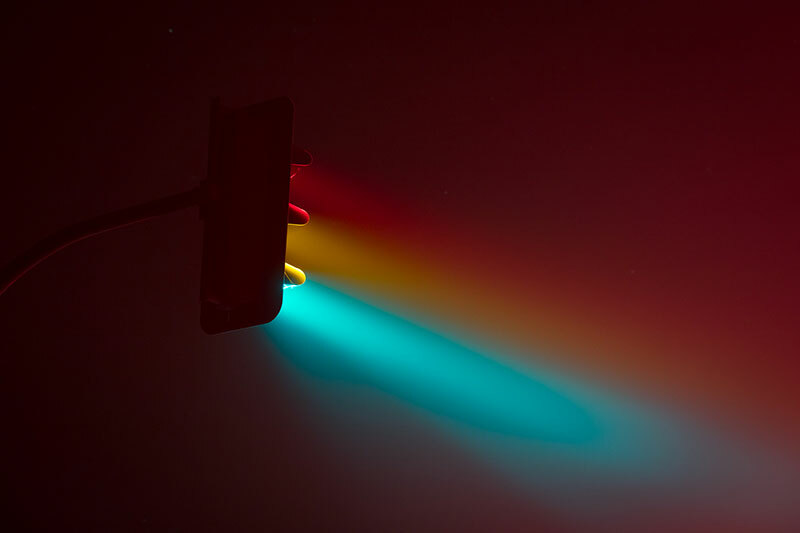 These images by photographer Lucas Zimmermann continues his Traffic Lights series which he started two years ago.